Our uPVC Roof Lanterns are supplied as a kit, ready to assemble and install on site. Aluminium Self-Supporting glazing bars with Top Caps and under-cladding. Eaves Beam Profile sections with internal cladding (NO external cladding). Glazing panels, Fixings/brackets, full assembly and installation guides. uPVC Roof Lanterns are guaranteed for 10 years. 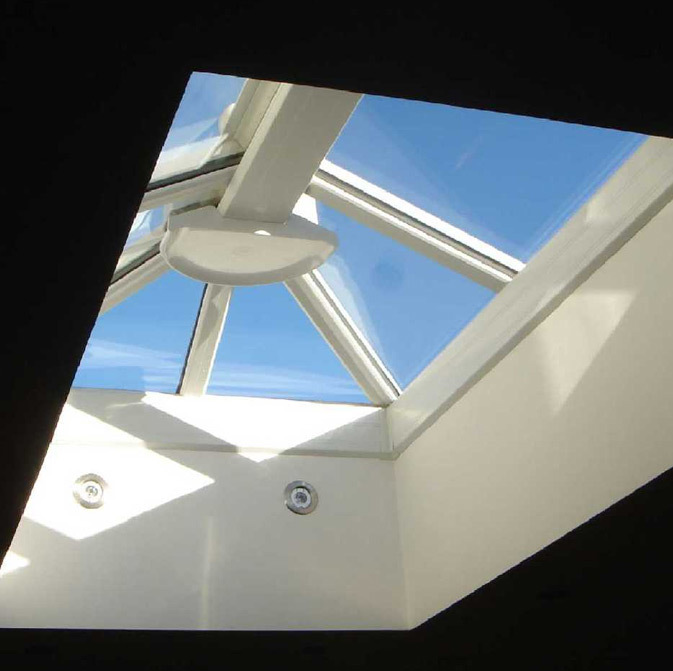 uPVC Roof lanterns: The Lantern components will be made-to-measure based on your supplied dimensions. The uPVC Roof Lantern is designed to sit on your own builders upstand. The measurements stated are the INTERNAL measurements of the (Roof Lantern Eaves Beam (i.e. the dimensions of your opening).The Eaves Beam is 70mm wide; therefore we recommend the upstand you construct is 70mm wide. (Please Note: The exterior of the ring beam is mill-finished aluminium. External cladding is NOT supplied). Glazing: Full range of glazing options; 35mm Polycarbonate, Double-Glazed Units - Argon-filled, upto 1.0W/m2k U-Value. Lantern ridge finishing options are: Plain, Plain with ball finials, Ornate cresting and finials. Glazed Upstand: A Glazed upstand that provides vertical glazing below the Lantern Roof. The Glazed upstand sits on the Builders Upstand. Vents: Vents for Roof Lanterns can also be supplied. 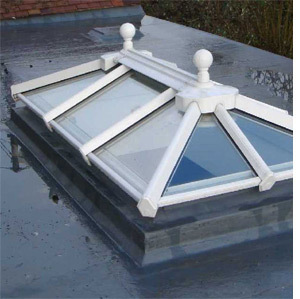 As well as UPVC Roof Lantern Omega Build supply a range of roofing components such as roof lanterns, roof domes, diy conservatory roof kits, polycarbonate roofing sheets, polycarbonate canopy kits, door canopy kits and much more. I would recommend your affordable products (UPVC Roof Lanterns and Cheap Roof Lantern Lights | Omega Build) to anyone else considering this product, as it has been superb. Omega Build Shop | UPVC Roof Lanterns and Cheap Roof Lantern Lights | Omega Build. You are viewing UPVC Roof Lanterns and Cheap Roof Lantern Lights | Omega Build, buy online today!